You will be given a headset to hear all the explanation while you ride your most typical Italian Vespa around the busy streets of Rome. Take in the “Roman Holiday” vibe and feel like a movie star while you ride your scooter through Rome’s top tourist attractions. This unique tour follows the chronological order of monuments and historical sites in Rome and let you learn their deepest secrets. Follow the evolution of Monumental Rome, a city that started its development from the 8th century B.C, when shepherds and farmers moved to the Seven Hills to found communities. Our tour will include each one of the Seven Hills in Rome, it will let you enjoy the view over the Eternal City from different perspectives and will teach you pretty much everything you need to know about the history and culture in just a day. Let’s start our Vespa tour Rome from one of the most popular hills of the city. Quirinal is seat of the Presidential Palace that takes its name from the hill itself. We will take a good look at the nicest baroque example, the Saint Andrew on Quirinal church, in Rome on scooter. Beautiful work of Bernini, the church has an oval base and it’s popular for marbles and golden decorations. Secondly, we will visit the beautiful Four Fountains and the Saint Charles at the Four Fountains church, both masterpieces of Borromini. This is a busy crossroad in Rome, where each fountain marks and names a street. Our tour carries on with the smallest of the Roman Hills, the Viminal. Despite its size, this site in Rome is quite busy as home to the bigger railway station in the city, Roma Termini. Our visit to the Viminal Hill will include the headquarters of the Ministry of Interior, hosted in a beautiful palace, and the Opera Theater. This opera house opened in 1880 and its stage welcomed renowned artists through the years, sopranos like Maria Callas and directors like Luchino Visconti and Riccardo Muti. The opera season is still nowadays a popular event in Rome. On the way to the next hill, our scooters will stop to admire what is likely to be Rome’s most popular attraction: the Colosseum. After the wonderful sight of the Colosseum and the Arco di Costantino, we will ride our scooters towards one of the most beautiful hills in Rome. Our first stop in Esquiline is the Domus Aurea, the wonderful palace built for Emperor Nero after most of the city burned down in a fire. Trees, vineyards, an artificial lake and much more will be the highlight of the visit. We will also visit another important landmark on Esquiline Hill, our Vespa Tour Rome will stop by the Baths of Trajan. 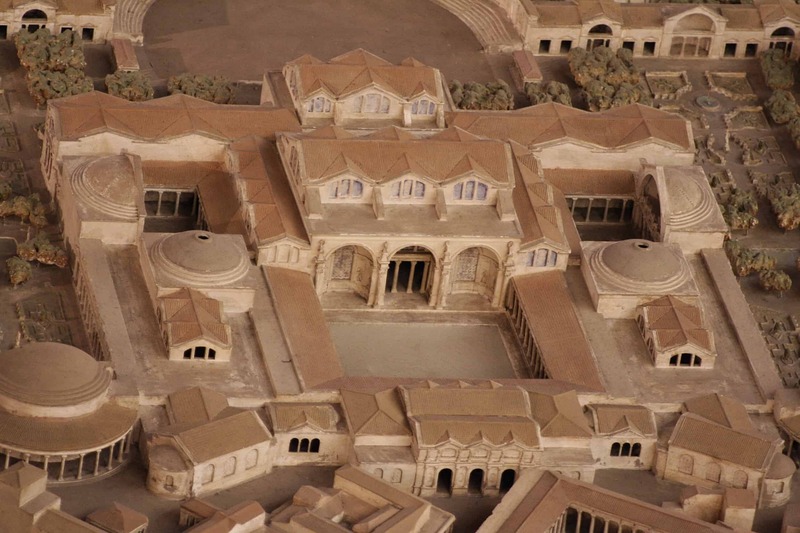 This wonderful thermal complex was commissioned by Emperor Trajan and hosted a bathing and leisure complex. Let’s ride downhill and uphill once again to reach the next stop, Capitoline Hill. 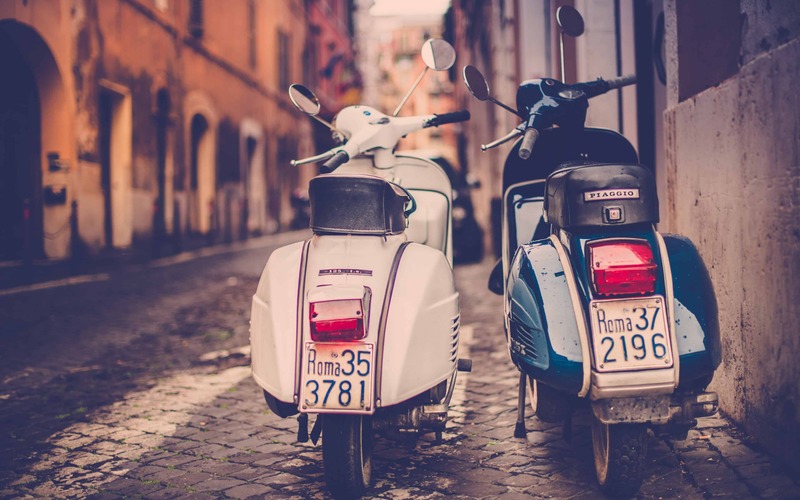 Enjoy your scooter ride through some of Rome’s most beautiful spots: Piazza Venezia, Altare della Patria, just to name a few. You will then get to park your Vespa near one of the world’s most famous square and palace, both named Campidoglio after the hill. 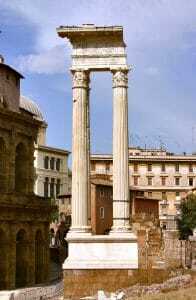 We will learn some archeology at the Capitoline Museum, then head to both the landmarks situated north and south of the hill. We will visit the Roman Forum and we will enjoy the stunning view over the Campus Martius, the central hub of the Eternal City. Back downhill, our scooters will drive past the Colosseum to the centremost hill in Rome. This is where you will get to enjoy the most stunning views over the Roman Forum on one side, and the Circus Maximus on the other. This beautiful hill is also seat of the Temple of Apollo and the neighbor Temple of Cybele. Both temples have a stunning view over the Circus Maximus, our next stop. Let’s get down to it: Circus Maximus was originally a stadium, a venue for games and tournaments, and still today hosts concerts and shows. From here, our Vespa tour Rome continues with the Baths of Caracalla. This beautiful archeological site on Cealian Hill includes villas with murals and mosaics. They are though not the only tourist attraction on this hill: we will next visit the beautiful Basilica of Santi Giovanni e Paolo, then the ancient Basilica dedicated to Santo Stefano Rotondo. On the way to the seventh and last hill, our Vespas will stop to visit the Basilica of San Giovanni in Laterano, summer residence of the Pope. Let’s jump on our scooters once again and carry on with our fun visit to Rome. We’ll drive past the Circus Maximus to reach our next destination. At the top of the Aventine Hill, we can admire the beautiful Temples to Diana and Ceres. Also enjoy the breathtaking views over River Tiber and the quarter Testaccio, south of Rome. 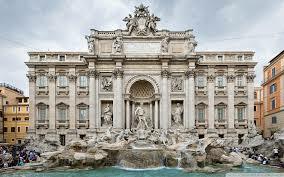 Last but not least, we will take our scooters to visit one of the most beautiful sites in Rome: the Fountain of Trevi. There is plenty to see in Rome but do not fear. 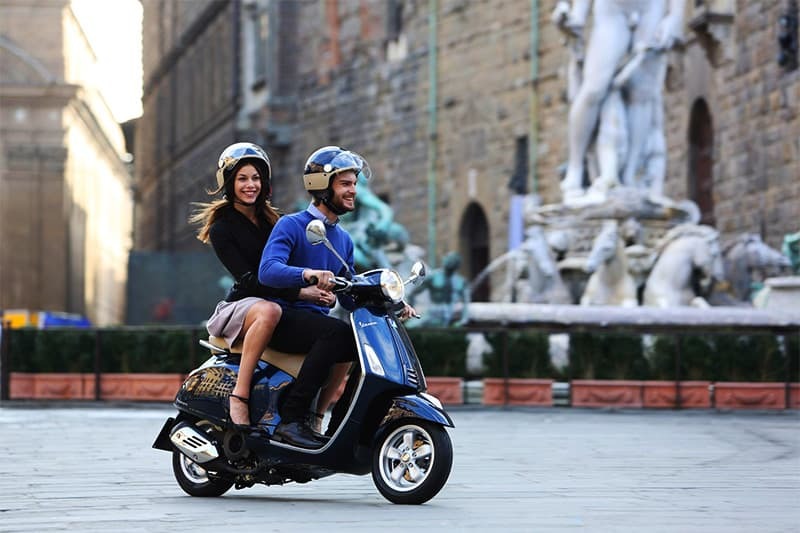 Just jump on a Vespa and you will be able not only to see all the magnificence of the Eternal City in just a day, you will also learn the stories and secrets behind all famous attractions. It is so much fun to discover Rome on scooter, isn’t it?